Before selecting a shoe, make sure that you know exactly which dresses you’re going to wear for your wedding. As shoes are meant to compliment the outfit, you don’t want to choose a shoe that overpowers the dresses. Selecting a shoe based on the style of the dress is a lot easier. 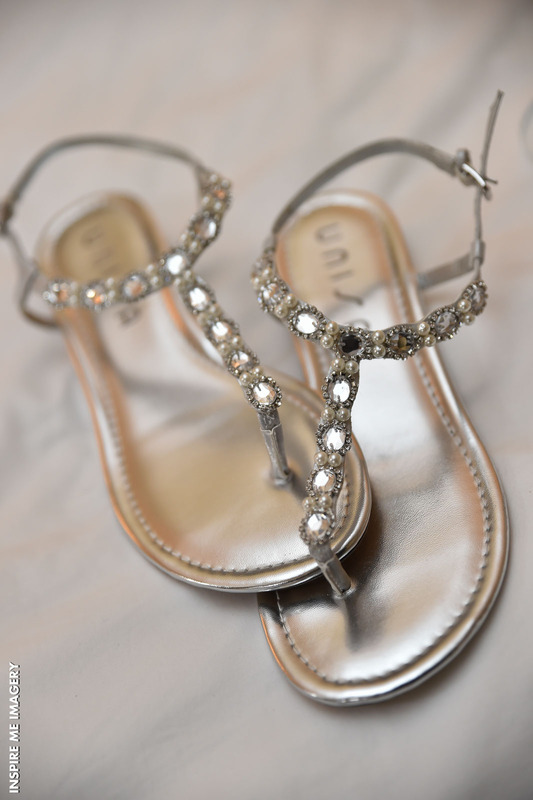 For instance, if your bridesmaid dresses are short, going with a strappy sandal with a low heel would be ideal. 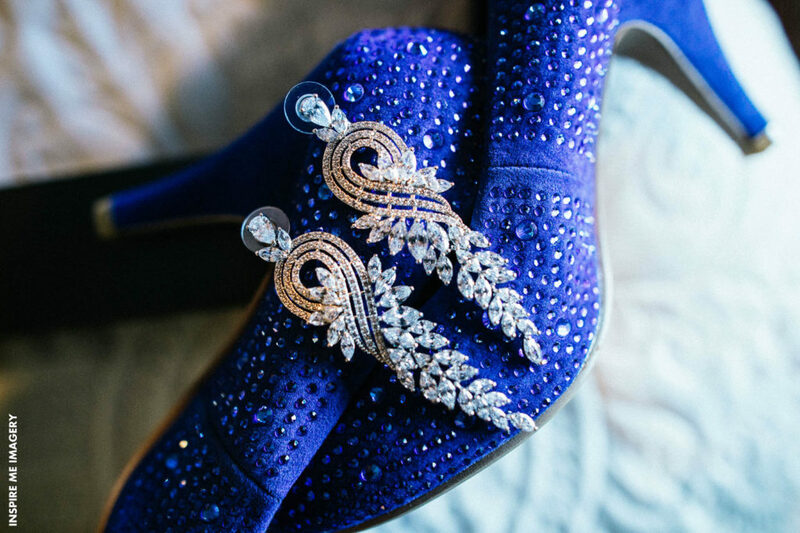 Another reason it’s a good idea to have the dress first is that if you’re opting to choose a shoe with color (instead of white, gold, or silver), you’ll want to make sure the colors match exactly. 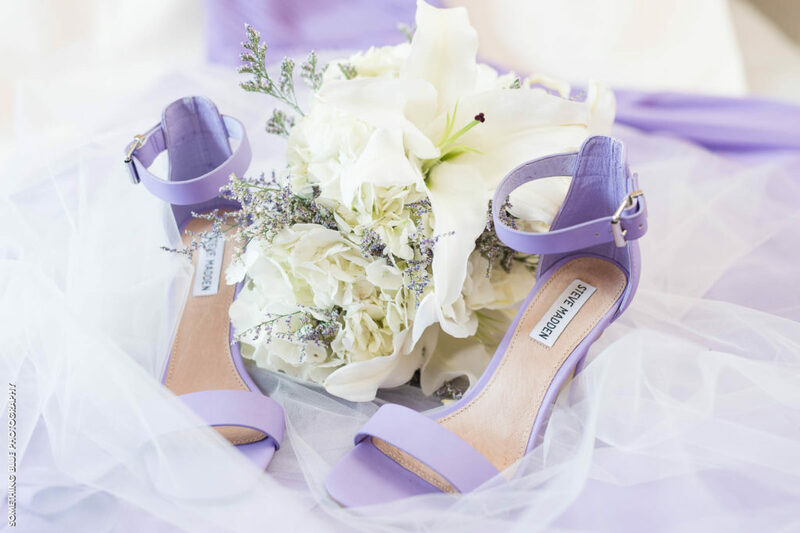 If you were choosing this vibrant blue or soft lavender like the shoe fashions above, you’d want to have the dress with you to have the shoes dyed exactly the right color. When stuck between fashion and comfort, comfort always wins. Not only will you be standing during the ceremony, but you’ll be dancing the night away on our dance floor. 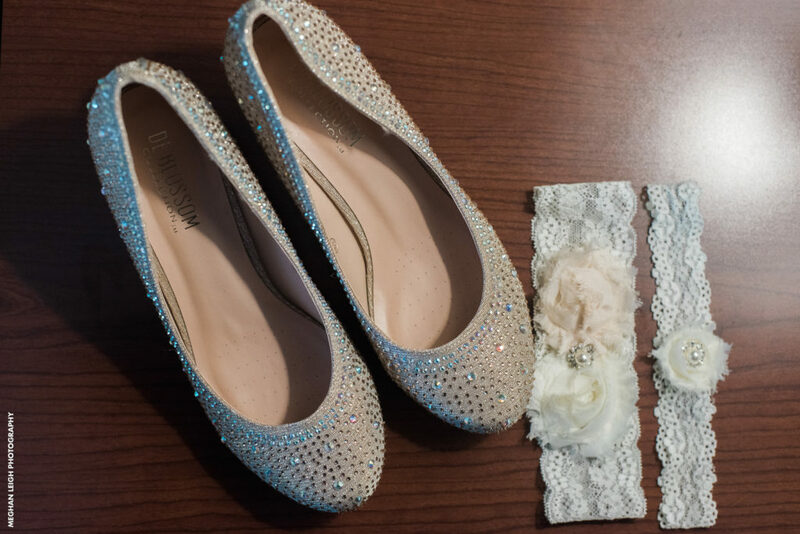 Fortunately, you may not have to choose as there are a lot of cute ballet flats, kitten heels, and low-heel shoes that you can purchase that are just as trendy as they are comfortable. 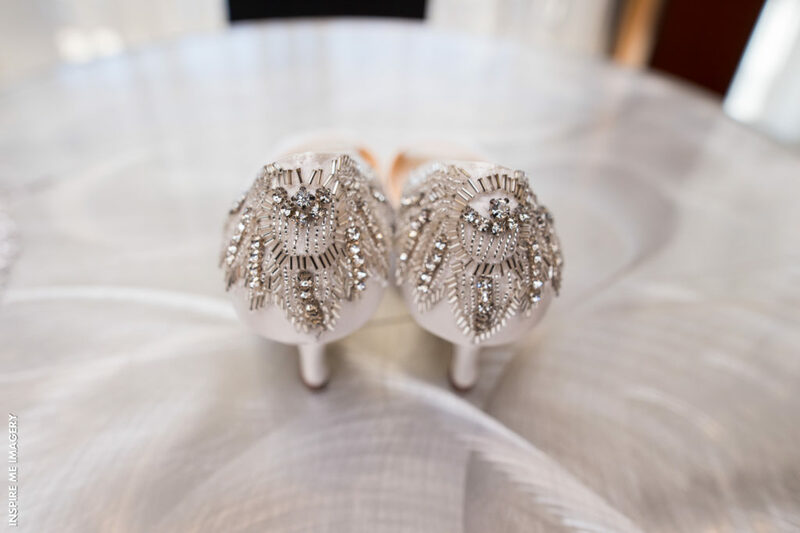 Shopping for wedding shoes should be just as fun as dress shopping. Get some input from your bridesmaids to find out which styles are most fitting for them. If you remember the above-mentioned tips, you should have no problem in choosing a style of shoe everyone can appreciate.